This DVD contains 9 Tricks, 2 Routines, and 2 Bonus, and most of them are impromptu and can be performed anytime, anywhere. These eye-catchers are perfect for table hopping or party occasions, and also great ice breakers to build relationships. Nie Te has 1/4 Japanese lineage and background from a "Ninja Family" of Edo period. 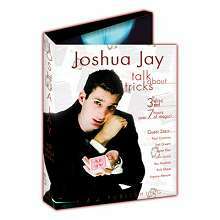 He won the Second Prize at "Close-up Magic Competition, Japan" in both 2009 and 2010. In 2012, he caught people's eyes by "Nie Te's Shift", and the visual stunt also got some masters' attention, such as Garrett Thomas and Ponta the Smith. 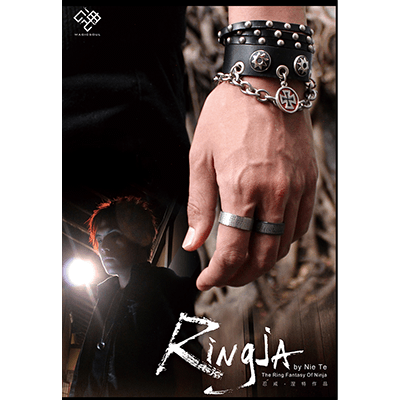 To sum up, "Ringja" is revolutionary in presentation and brings inspiration to the Ring Magic. "Leave it to a ninja, to add something to your magic arsenal. Visual, Fun, and Challenging for all skill levels. Master the way of the Ringja and they will never see you coming!" 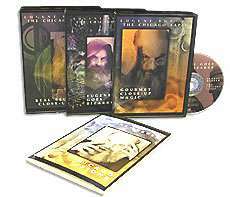 "This DVD contains all essences of ring magic. There are many innovative concepts and every idea is practical. I think it will open up new possibilities for ring magic."